When I imagine carbon, the first image that comes to mind is one of a big, black rock akin to the lump of coal you hope not to find at the bottom of your Christmas stocking. But the new report by the Economics of Ecosystems and Biodiversity initiative of the U.N. Environmental Programme argues that carbon comes in more than just your basic black: There is brown, green and blue carbon, too. Here&apos;s Miller-McCune&apos;s guide to the latest in carbon fashion, so that you can be in the know for the U.N. Climate Change Conference (COP15) in Copenhagen this December. Brown carbon: Brown carbon is a light-absorbing particle in the Earth&apos;s atmosphere that has the unique characteristics of both cooling the planet&apos;s surface and warming its atmosphere. It was originally distinguished from black carbon in a 2006 report by M.O. Andreae, who has a doctorate in oceanography, and A. GelencsÄr, a chemist. Research published in 2008 by Arizona State University professor Peter Crozier suggests that this nanoscale atmospheric aerosol species is abundant in the atmosphere over East Asian countries and should be explicitly included in models of radiative forcing (the gap between energy radiation reaching the Earth and that leaving through the upper atmosphere). Bottom line: It&apos;s not black; it&apos;s an aerosol, and it plays a complex role in climate change. Green carbon: Green carbon is the carbon that is stored in terrestrial ecosystems such as forests, pastures and soils. This carbon can be released into the atmosphere through deforestation and fire. The U.N. Framework Convention on Climate Change noted in a 2008 report that increasing green carbon stores through reforestation and preservation efforts has great potential to combat global warming. 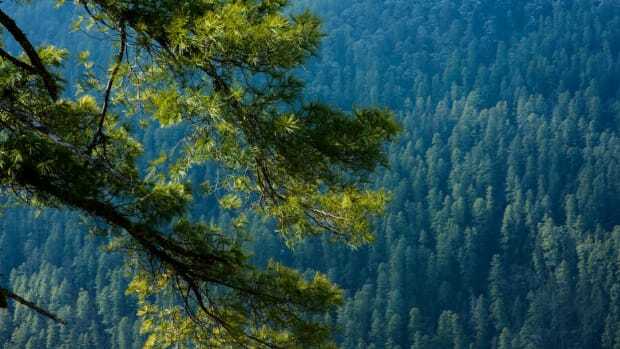 The skinny: Green carbon might become a lot more popular after COP15, especially since a number of mechanisms have already been proposed to help encourage reforestation in developing countries. Blue carbon: Blue carbon is carbon that lives in the world&apos;s oceans. An estimated 55 percent of carbon in living organisms is stored in mangroves, marshes, seagrasses, coral reefs and macro-algae. This carbon is cached for millennia, unlike green carbon, which may be stored for decades or centuries. A new report from UNEP, The Food and Agriculture Organization, and UNESCO&apos;s Intergovernmental Oceanographic Commission highlights the alarming fact that blue carbon ecosystems are being degraded five to 10 times faster than rainforests. Coastal ecosystem services are valued at $25 billion per year — they provide vital nutrition for close to 3 billion people. The down-low: Restoring the blue carbon sinks in the ocean, and slowing and reversing deforestation in the rainforests could mitigate emissions up to 25 percent. Black carbon: Last but not least, black carbon is the carbon formed through incomplete combustion of fuels — essentially soot. It is the most widely discussed form of carbon, and some scientists suspect it is second only to carbon dioxide as a contributor to global warming. Black carbon can be reduced through the adoption of clean-burning technologies. In sum: Black carbon reduction may be one of the most efficient ways for us to mitigate global warming now. So there you have it — your guide to the carbon rainbow! We&apos;d tell you to print out a copy for the coverage of COP15, but we&apos;d rather you save the green carbon.